Against the child mortality in the countries more poor of the world. To promote child vaccination and protect as well the health of children in underdeveloped countries. 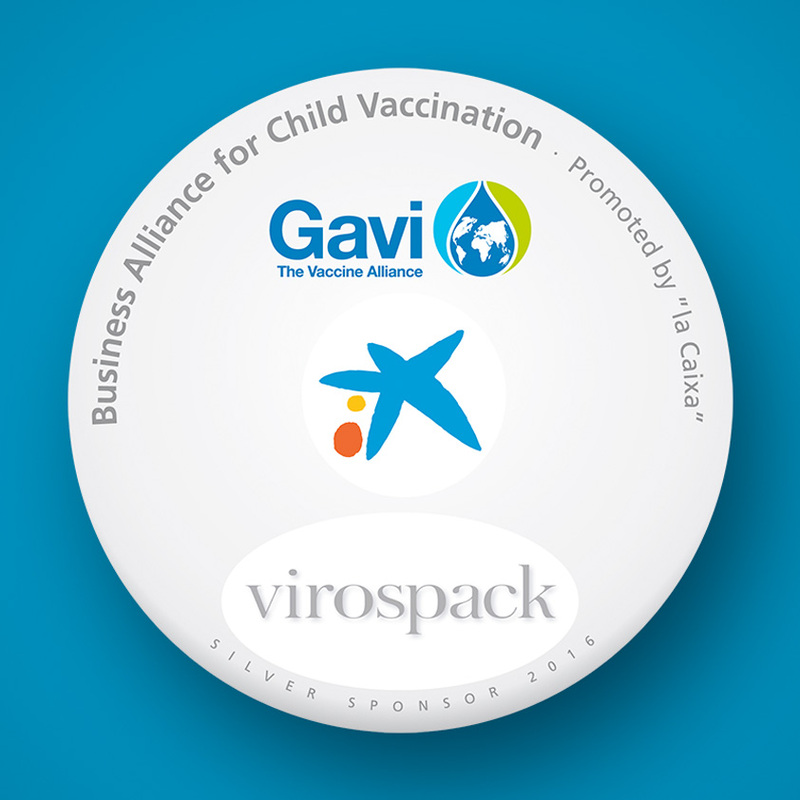 VIROSPACK, SPONSOR OF THE BUSINESS ALLIANCE FOR THE VACCINATION OF CHILDREN. An initiative promoted by LA CAIXA in collaboration with GAVI ALLIANCE, whose objective is to channel the economic investments of Spanish companies in the fight against child mortality. An initiative that was born in the year 2000 and that since then has vaccinated 500 million children and avoided until now 7 million premature deaths. VIROSPACK, aware of the difficulties of the needy, joins this cause with a small contribution to the distribution of pneumococcal vaccination in Mozambique. A vaccine that protects children against pneumonia, leading cause of death in children under 5 years.